Talent development is crucial to a healthy economy and the region. The Community Foundation understands that, in addition to attracting new talent to our growing and changing region, we must also support the abundant talent that’s already here. Jobs in science, technology, engineering, and mathematics (STEM) grew 18.4 percent from 2010-2015 in the Detroit area, almost double the national average. During that time frame, about 5,000 engineers graduated from area schools, supporting the growing number of openings in STEM. The New Economy Initiative, the Community Foundation’s largest special project, was launched in 2007 to address systemic problems in the regional economy by developing and attracting entrepreneurial talent. To date, NEI has granted more than $110 million to organizations and programs that help people launch and grow businesses across southeast Michigan. NEI was one of the first philanthropic initiatives that saw the value of lifting up entrepreneurs running small businesses in low-income neighborhoods. Through its NEIdeas program, a challenge that rewards neighborhood businesses with $10,000 and $100,000 grants for their ideas for growth, NEI has enabled local businesses like Benkari Mechanical to pursue new opportunities. 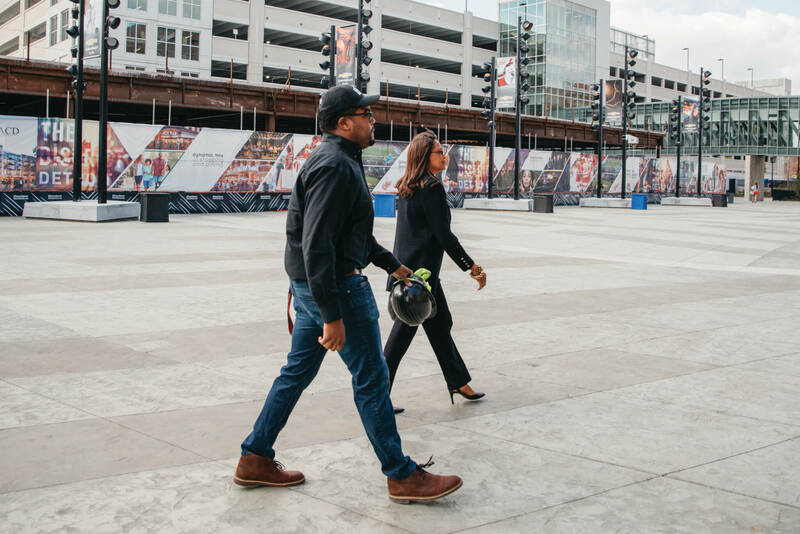 In 2015, Adrienne Bennett, the first black woman to become a master plumber in the U.S., was awarded a $10,000 NEIdeas grant to invest in bidding software, which helped her win larger jobs, including a major contract working on the recently opened Little Caesars Arena. Since winning an NEIdeas grant, her business has grown 400 percent and she has hired new employees. NEIdeas is a means of recognizing and investing in the talent that already exists in our community. Lots of local business owners have ideas for growth; they just need a little help to realize them. NEI works to attract talent to southeast Michigan through support for programs like Venture for America (VFA), a national fellowship program that places recent graduates at early-stage startups. In 2012, NEI helped establish a Detroit chapter of VFA, which has since become the most popular destination for fellows of any city in the organization’s national network. Several VFA alumni have launched their own startups in Detroit. The Community Foundation also cultivates talent at the high school level, building the pipeline to match available jobs in the region and providing students with the cutting-edge skills they need to succeed. One example is the creation of the Partnership Response in Manufacturing Education (PRIME) program, which established manufacturing education centers in high schools to prepare students to enter the next-generation manufacturing workforce. According to the Southeast Michigan Council of Governments, manufacturing jobs accounted for 49 percent of the total jobs in Wayne, Macomb, and Oakland counties in 2014. 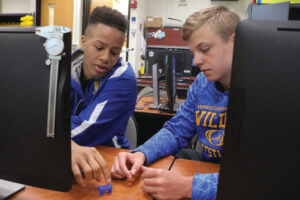 Two grants totaling $90,000 from the Community Foundation’s Herbert and Grace Dow Endowment Fund are supporting the Society of Manufacturing Engineers (SME) Foundation’s PRIME programs at three high schools: Cornerstone Schools, Fraser High School, and Pontiac High School. The funding in Pontiac is leveraged by a large investment by the Flagstar Bank Foundation. SME tailors its PRIME programs to the specific needs of each educational landscape and does workforce assessments with local employers, such as GM, to discuss needs and identify existing skills gaps. Between them, the three regional PRIME programs focus on mechatronics, industrial robotics and animation, welding, design, and engineering. The students in the seats are what that really matters. At a time when a skills gap and the “graying out” of the existing workforce creates a talent mismatch, 84 percent of PRIME students enter manufacturing. The Community Foundation also understands the importance of early childhood education in growing a dynamic talent pool. As the number of families choosing to enroll their children in Head Start centers increases, the waiting lists at these centers grow because there are not enough teachers to meet the student-teacher ratios. The Head Start Innovation Fund is working to address the talent pipeline problem for this system by promoting early childhood education jobs among men and millennials, who traditionally do not consider positions in this sector. The Community Foundation oversees the Head Start Innovation Fund, which is supported by 10 foundations and seeks to recruit and retain qualified early childhood educators, attract Head Start-eligible families, and support shared data and program evaluation. Launched in 2013, the Innovation Fund is an $11 million effort to improve the quality of these services and outcomes in Wayne, Oakland, and Macomb counties, an area that services nearly 9,000 children through Head Start and Early Head Start.